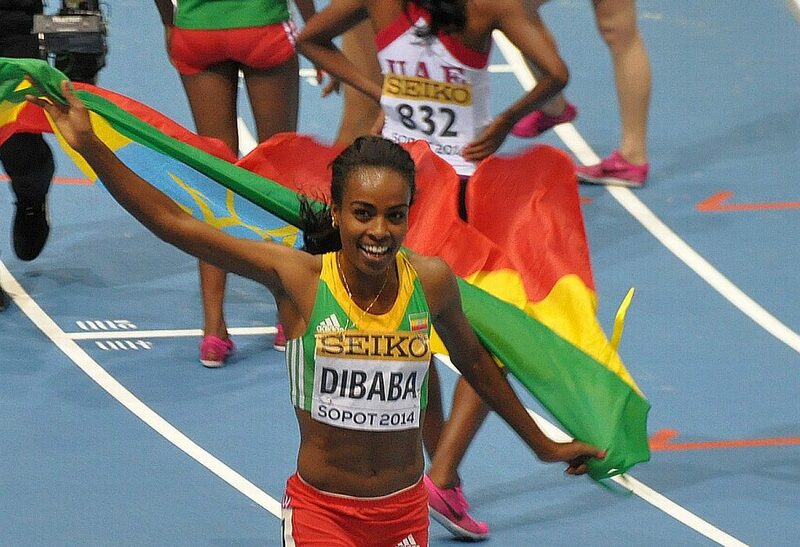 Ethiopian Genzebe Dibaba crowned a spectacular winter season with victory in the women's 3000m clocking 8:55.04 ahead of Kenyan Hellen Onsando Obiri at the World Indoors Championships in Sopot, Poland on Sunday. Hiwot Ayalew hit the front at 900m, drawing Dibaba, her Ethiopian team-mate, through into second place. 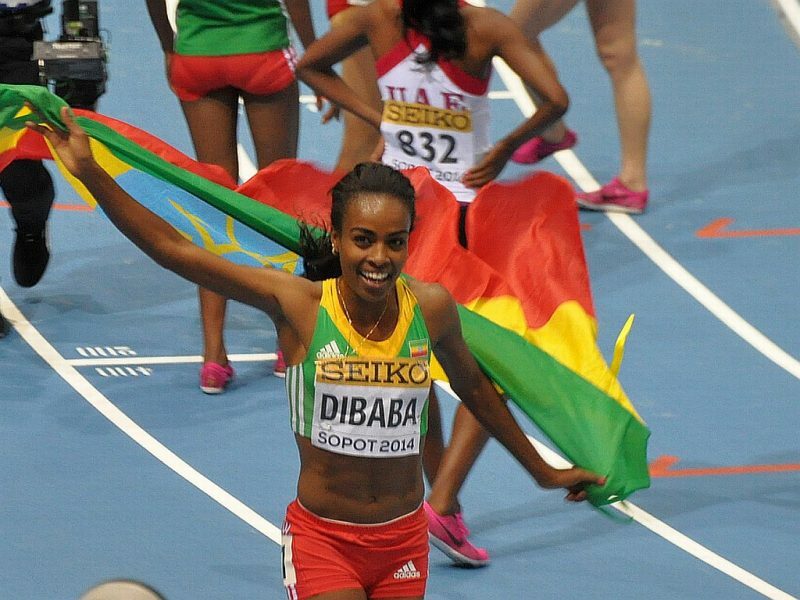 With seven laps to go, Dibaba assumed the lead, waiting until the final 400m before putting her foot on the gas. Young Dibaba, the World Indoor 1500m champion from in Istanbul two years ago, finished here in Sopot 2.68 seconds clear. The final kilometre was completed in 2:38.94 with the first in 3:24.50. "I moved up with about eight laps to go, but I couldn't shake them off, so I had to increase the pace with 800m to go," says Dibaba. "That was what we had discussed before the race with my coach. This year, I've added 3000m World Championships gold to three world records, and it's been a great year for me." "My sister Tirunesh also wanted me to focus on the gold, and not the time. I know they will be very happy. I have done what they hoped and expected, " she added. Kenya’s Hellen Onsando Obiri, the defending champion, took silver in 8:57.72 with Bahrain’s Maryam Yusuf Jamal claiming the bronze medal in 8:59.16 ahead of former world junior champion, Irene Jelegat, of Kenya (9:02.67) in fourth. "I am so happy. 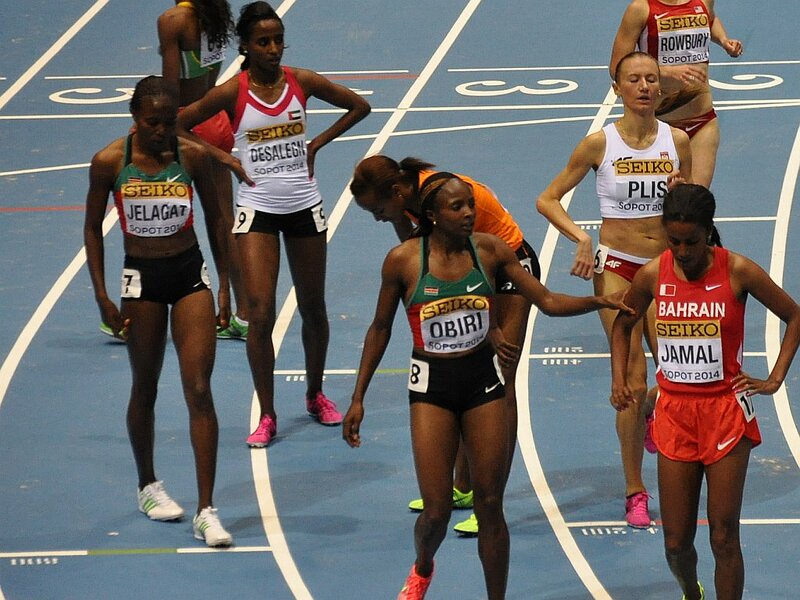 I came to defend my indoor title, but the competition was tough as Dibaba is the world record holder," said Obiri. "I stayed behind her to push me. I have something to bring back home so I am thankful for that. I am going to rest for a few weeks and prepare for the Commonwealth Games in the 1500m."